Seasonal flu is on a steady rise. Every year, flu-associated hospitalization rate hits a record higher than the previous season, making H1N1 flu (better known as Influenza) a potentially serious disease and every year’s national severity. With millions of people get infected with Influenza virus and tens of thousands of people dying from the infection, the need for an annual flu vaccination is more important than ever. It is the SINGLE best way to protect yourself and your loved ones against the deadly H1N1 infection and its potentially serious complications. In this article, we’ll take you through various flu vaccine options available to help you choose the one that best suits you and your family. A traditional flu vaccine contains live, attenuated or inactivated strains of Influenza virus, which when administered intramuscularly are known to cause antibody production in the body. These antibodies provide protection against potential Influenza virus infections. The Centers for Disease Control and Prevention (CDC) recommends an annual Influenza shot for everyone age 6 months or older. Flu vaccination is especially important for high risk groups, including pregnant women, senior citizens, and young children. To be fully protected, children between 6 months and 8 years require two doses of the flu vaccine – a primer and a booster dose, given at least four weeks apart. While there are many different Influenza viruses, the traditional flu vaccines (called “trivalent” vaccines) provide protection against 3 or 4 common strains – an Influenza A (H1N1) virus, an Influenza A (H3N2) virus, and an Influenza B virus. The vaccine is administered either intramuscularly or in the thigh and provides protection to three of the most illness causing strains of Influenza. These vaccines provide protection against the same three Influenza viruses and an additional B virus, theoretically providing better protection from seasonal flue. Like its previous counterpart, the quadrivalent shots are also given intramuscularly and take about two weeks to provide immunity against Influenza virus. The intradermal flu shots are injected into the skin rather than the muscle and cause much less pain when compared to the traditional flu shot. This flu vaccine is approved only adults between 18 and 64 years of age. Some of the side effects of this vaccine include itching, redness, and swelling at the site of injection. Approved for use in adults age 65 years and older, high-dose flu vaccines create a stronger response to the Influenza virus, thus offering better protection against the disease. These vaccines are not recommended for people who are allergic to any of the vaccine components or egg. 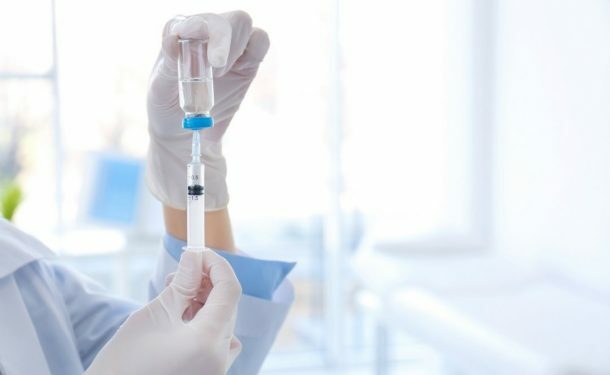 These vaccines contain an ingredient called thimerosal, which acts as a preservative and prevents contamination since flu vaccines come in multi-dose vials. Though safe and effective, various thimerosal-free flu vaccines are also available in the market. Till 2017, FluMist was a popular intranasal flu vaccine for children. The medicine was administered just like an ordinary nasal spray. However, due to concerns about its efficacy, the Advisory Committee on Immunization Practices (ACIP) no longer recommends the use of FluMist as a seasonal flu vaccine. Hate needles? Don’t want vaccines sprayed up your nose? Well, today there are multiple options for taking flu vaccination. One of them is the jet injected flu vaccine, which is administered using a small device that uses high-pressure to cause a narrow stream of fluid to penetrate the skin. This vaccine provides protection against three strains of Influenza and is approved for use in adults between the age of 18 and 64 years. People with egg allergies can have severe reaction to traditional flu vaccine. Such people can safely rely on egg free flu vaccines that are not grown in eggs and hence do not contain any egg protein. These recombinant flu vaccines are available in both trivalent and quadrivalent forms and are approved for use in people age 18 years and older. Although still in clinical trials, flu vaccine patch is a promising alternative to traditional Influenza vaccines. These self-administered flu vaccine patches are placed on the arm just like a sticker and offer an effective and pain-free method for flu vaccination. 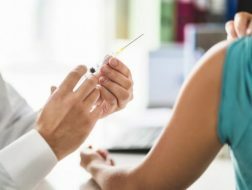 People who should not take flu shot? Children younger than 6 months should also not be vaccinated for Influenza. Which vaccine will work best for you? Different flu vaccines are approved for use in different age groups and only your primary healthcare provider can determine your suitability for a particular flu vaccine. Get in touch with EPIC Primary Care team to understand which Influenza vaccine will work best for you. Doctors at EPIC PC will thoroughly analyze your health condition, age, medical history, and allergies to flu vaccine or its components to suggest you the vaccination that will work best for you. Our doctors can also provide you regular updates about Influenza outbreak, its symptoms and ways to control or prevent the disease. We have a full team of certified and trained doctors, nutritionists, exercise physiologists, occupational therapists and nurses who strive to provide assisted care for you and your loved ones. Dial 248-336-4000 (Ferndale) or 313-861-4400 (Detroit) to schedule an appointment with EPIC PC doctors and get your flu vaccine shot today!